Nicely repaired and back on the market! The seller has installed a brand NEW air conditioning system, water heater, dishwasher and range with hood, carpet, paint, resurfaced the tub and more! Beautiful scenic views are available all over this community. From the front balcony witness first-hand tennis matches, miniature golf, and even a little bit of the Gulf of Mexico and beaches. The real treat awaits you at the opposite end of the condo. Through the kitchen and living room one finds the nice sized northerly facing balcony overlooking the mangroves and Intracoastal Waterway of The Narrows. Hundreds of acres of waterways and wetlands habitats are viewable from the eighth-floor sundeck, which by itself is almost 1000 square feet. The unit features a spacious bedroom that has its own sliding glass door access to the gigantic rear balcony. 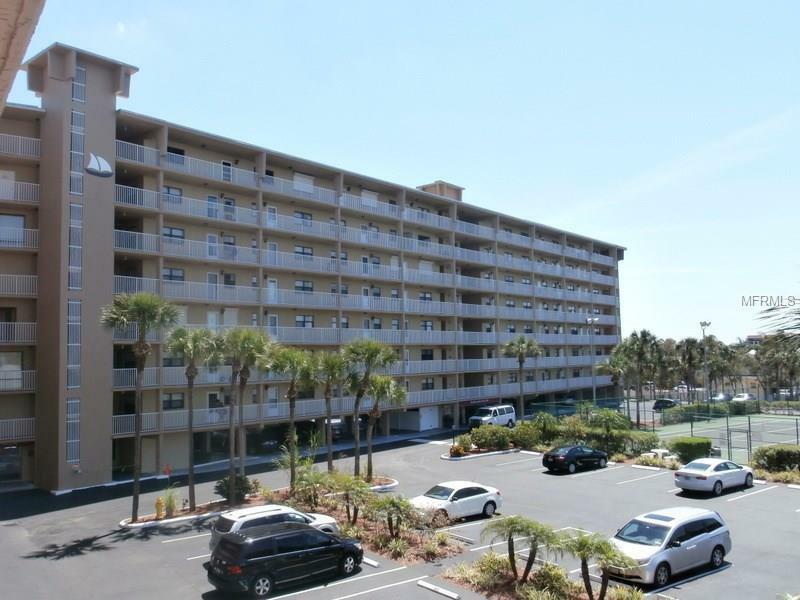 Indian Shores is located at the farthest westward extent of the Pinellas Gulf Beaches and offers loads of entertainment, services, and amenities to suit all, much of which is walking or trolley accessible. This is a Fannie Mae HomePath Property. See it now before it’s gone!